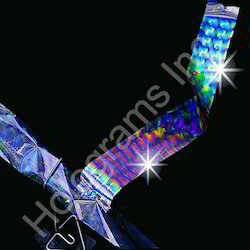 Our range of products include glossy holographic films, hologram film, holographic film, holographic films, packaging holographic films and hologram film sheets. 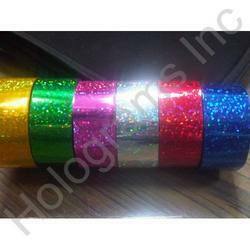 Hologram Film is perfect for creating sequins for textile industry. The entire assortment of films endures prefect shine and ensures to highlights brand looks by boosting its looks. We customize these films in different sizes of rolls and designs as per the requirements of the clients. 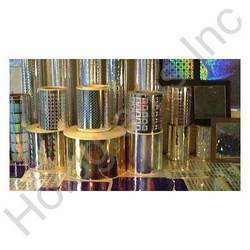 PET - Poly Ethylene Terephthalate"
Holographic wide web film is a special holographic product meant for packaging industry in particular. 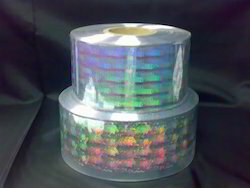 We manufacture and supply holographic wide web film in both PET and BOPP. This is very useful for flexible packaging and gift wrappings. Nowadays all the Leading brand are using wide web holographic films for their packaging Products to enhance Brand value and curb Counterfeiting. 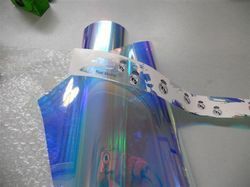 Holographic packaging wide web film is a special holographic product meant for packaging industry in particular. 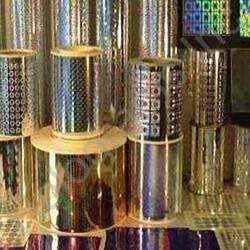 We manufacture and supply holographic wide web film in both PET and BOPP. This is very useful for flexible packaging and gift wrappings. Nowadays all the Leading brand are using wide web holographic films for their packaging Products to enhance Brand value and curb Counterfeiting. We are engaged in trading and supplying a wide gamut of Holographic Clear Films to our valuable clients. The offered films are manufactured using factor inputs under the strict supervision of highly skilled professionals at our vendors’ end. These films are tested on different parameters at vendors end to ensure the delivery of flawless range to the patrons scattered all across the globe. 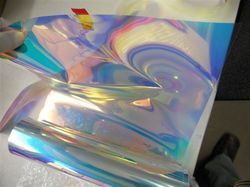 Looking for Holographic Film ?